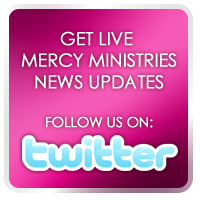 Mercy Ministries News: Group Supports Mercy Ministries in a Creative Way! Group Supports Mercy Ministries in a Creative Way! Angela Curtis, a Fifth Third Bank employee, recently came to the Nashville home for a Friends of Mercy Luncheon and got inspired to spread the vision of Mercy Ministries to her co-workers. She didn’t just want to tell them about Mercy, she wanted to give them an opportunity to support Mercy in a unique way. Last Thursday, The Fifth Third Bank Women’s Network and their guests gathered for a great time of fun and fellowship at Sips n’ Strokes. Sips n’ Strokes is a popular step-by-step art class franchise where anyone can learn to paint a masterpiece. 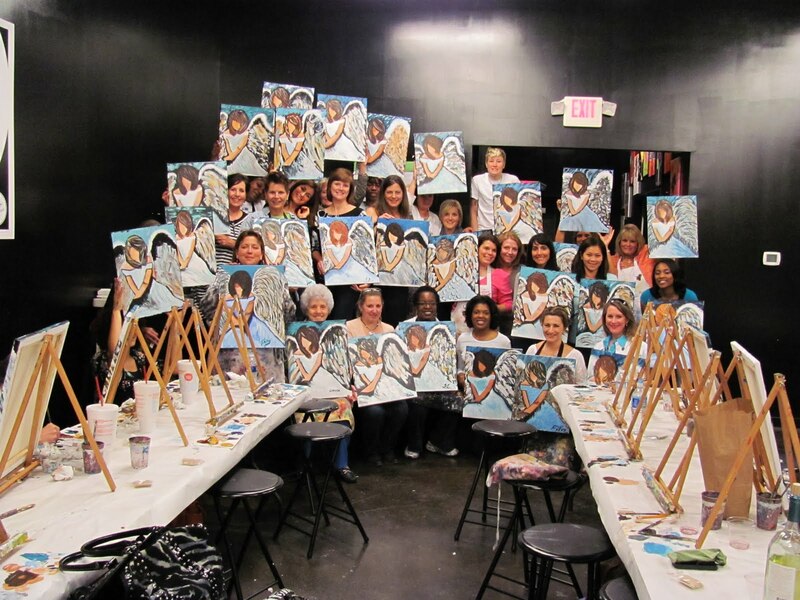 A portion of the participation fee was donated to Mercy Ministries, and more than 60 women came to the event! Amazing Mercy volunteer, Anne Wallace, was there to share about the life-changing work being done at Mercy Ministries. 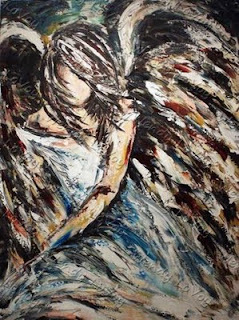 Everyone was inspired by what they heard and had a great time of fun and fellowship while painting a beautiful angel (pictured above). Special thanks to Community Board Member, Sue Veith, and Mercy supporters Angela Curtis and Filiz Bozkurt for putting together this amazing and creative event. We would also like to thank everyone who participated. Your support helps hurting young women to experience the unconditional love of Christ, so they can know that they are God’s masterpiece!